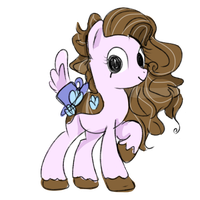 HoloCoffee Ponies are a closed species by Angel-Coffee and mckeekee. You do not have permission to make one, unless you are an admin or have purchased a MYO and/or custom slot. - These traits are general traits that all breeds can have. - Special traits for specific breeds are not listed in this journal. - Adopt/auction only breeds/traits are extremely special traits that are only announced when an admin uploads an adopt or auction, so watch for adopts! - If you are confused with special traits that your breed has, you may go to the reference sheets or ask one of the admins. Buying rights is not available at this time, and nor we have a plan for the future, sorry! 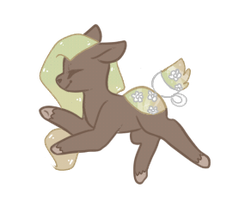 However, as a kind member said, by purchasing a MYO slot, you can make your own HoloCoffee Pony! You'd just need to follow the guidelines. 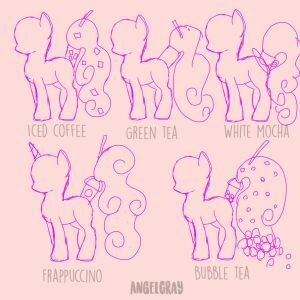 You can also win premade HoloCoffee Ponies or MYOs by participating in group events, or obtain one by buying from other members selling. Either way, you can always draw other member's characters, as gifts or commissions! If you're on mobile, scroll all the way down to the bottom of dA, click "Switch to desktop" twice, and then the join button should appear when you visit our group's homepage. This only works on Safari, however, or any Internet browser you use for your phone. It won't work on the dA app. On desktop, you go to our homepage, and you should scroll down until you see "Join Group" or something along those lines on the left side of the homepage. I can also invite you to the group, if that makes anything easier. Teir 6 HoloCoffee MYO for Sale!So I've gotten out of the MLPs lately and I want to sell my MYO slot. Per group rule I have to sell it for what I paid. Oof it's bit high for me gotta save up . I'm looking at the common traits and I was wondering if it would still be common if I wanted to put a leaf on top of the tail (not in the cup)? Hi! Yes, it would just be an accessory if you decided to do that. ;v; So you're good. Objects inside the liquid is an uncommon trait, while objects floating on the liquid is a rare one. That should be the case with leaves too, unless I'm wrong? but the leaf would not be in the liquid, only floating on top of it. Does that make a difference? what trait is a cocoa? The coffee can be flavored right? Sorry for a stupid question, but in uncommon traits, does multicolored liquid means the same shadings from the same color (ex: azure > cobalt), or can be different color (ex: red > yellow)? No it's alright! I understand. If you are buying a pre-made adopt, then no, you won't have to pay extra for those traits. As far as MYOs are concerned, yes; you will have to pay extra for uncommon/rare/legendary traits. As for adopt only traits, those are admin exclusive, so there isn't a way to make your own HoloCoffee with adopt only traits, except for when there are special MYO sales with adopt only traits available ;A; I hope this helps! Oml they're so cute! Thanks!! Ahhh I'm gonna enter am I too late??? When using wings, how big may the consistency be? I mean, size wise, sorry if I didn't make sense at first. i think they're over $500 a piece now?? may i ask how much super rare myo's would be up for? i dont think i will be buying since they are expensive, but for future reference. Okay! I'll make sure to let you know! All HoloCoffees go by normal traits, but depending on a certain breed, there are exceptions that are worth taking a note of. - This is the most common type. 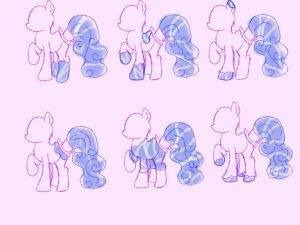 - These HoloCoffees go by the typical traits: liquid mane and liquid tail. They don't depend on any element other than their liquid to stay alive. - This type varies a lot in personality and in look. To tell the difference, pay close attention to their liquids and overall features. If they have typical traits including accessories, then they are considered normal. - The only time HoloCoffees are considered the other breeds is when abnormal traits come into play, such as them being made of crystal or having frozen liquid. - MochaFawns are made of chocolate. 1. Be nice! Respect all members and admins of the group. 2. 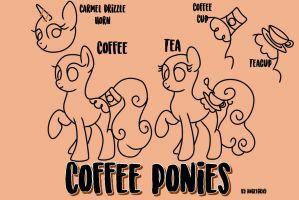 Only submit HoloCoffee pony content. Anything else will be removed. 3. Submit to the right folders. 4. If you are unsure about which folder to submit to, please do not be afraid to ask the admins! We will gladly help you. 5. If you see someone making a HoloCoffee pony without permission, please confront an admin. Do not engage with them or harass them. 6. Do not harass others, including the admins! 1. You must be a member of HoloCoffee-Ponies to own or adopt a HoloCoffee. This goes for reselling, trading, and gifting a character, as well! 500 Members Raffle -CLOSED-Winners will be announced later tonight!! Thank you everyone for entering!!! To celebrate, we are going to giveaway some MYOs! And that's it!! ^^ This raffle will end on November 1st. + Masterlist +This masterlist will soon be retired, but please continue to use this masterlist until we announce the opening of CafeSpecialties. Admins, feel free to update this masterlist whenever you feel the need to! For this raffle, we will be giving away 5 MYOs to 5 random members of our group!!! And that's it!! ^^ This raffle will end on February 10th. "It's back to school! Is it your HoloCoffee's first time going to school? Are they going to graduate from high school or college? Draw or write out about their first day of school!" Prompts are currently the only way you can earn Teabags. You draw your HoloCoffee(s) using the prompt theme, and volia! You earn Teabags! Teabags are what you use to upgrade your HoloCoffee's traits and type. For now, this is their only use. - You cannot earn Teabags for previous prompts. - You must have a HoloCoffee in order to earn Teabags. - If you co-own a HoloCoffee, you may still participate in prompts. Please give our new mods a warm welcome! Still in revamp!Hi guys! I know it's been a few months, but we are still working very hard on revamping everything. We are shooting for the group to reopen in January, but we can't promise any guarantees. However, we have some good news! Our Discord is up and running again! Upon entering, please set your nickname to your deviantART username so we know who you are. This also prevents ban evasion. When you enter, please read the rules! There will be a more in depth post about the Discord, but I thought I'd go ahead and share the invite link with you guys. Thank you for being so patient with us! Solutai Ponies are a closed species, meaning you may not create your own without permission. This is the temporary written guide to Solutai traits and their rarities! It's a work in progress, so please keep an open mind. If you have any questions about anything featured here, let me know! Note: Any trait listed with an asterisk (*) next to it is a restricted trait, and cannot be used without specific permission from the species creator. Please do not ask for these unless I have given you permission to do use them.The difference between adopt-only and restricted traits is that restricted traits are particular to the lore of the species OR they are under development, while adopt-only traits are special in the sense that they're difficult to find. Welcome to the HoloCoffee Cafe! 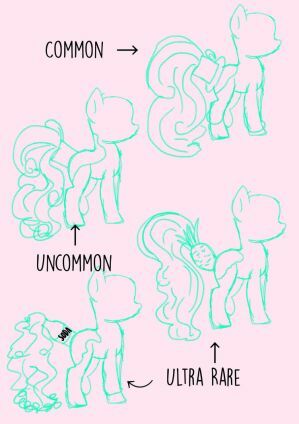 + Ref Sheets + Traits +HoloCoffee Ponies are a closed species by Angel-Coffee and mckeekee. You do not have permission to make one, unless you are an admin or have purchased a MYO and/or custom slot.